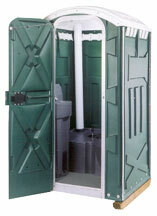 We will provide service and maintenance of the porta-potties SUN through SAT. Supply each potty with 2 rolls of toilet paper per cleaning. 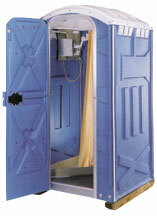 Keep the inside of the porta-potties clean and pick up any trash around the potties daily. 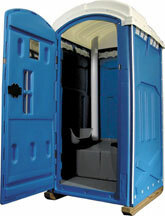 Our employees will ensure that each porta-potty is washed clean when needed, as to present a clean appearance at all times. We will provide hand sanitizer service everyday. Integra door and jamb form their own hinge joined by Lexan® polycarbonate rod for full-edge strength. Hinge attachments don't stress or wear out...because there aren't any! Twin torsion spring closures are heavy-gauge stainless steel. Designed for use in special circumstances, the EAU provides lighter weight and maneuverability. 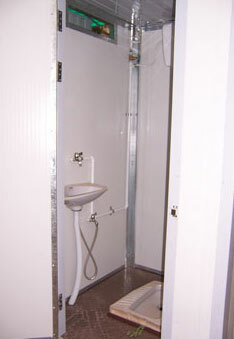 Plus the sensible size fits more places and will be rented more often. Delivery and setup are the easiest of any on the road. Larger fresh water capacity than many 4-station sinks. No bags, no bladders, no bulky hardware. 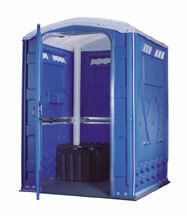 Highly durable construction, built to withstand rugged daily use. Easy to service with complete access to tank interior. 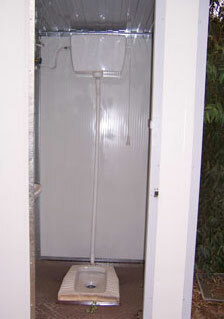 Foot pump allows hands-free operation of handwash basin. Translucent roof makes best use of natural light. Locate anywhere, only mains water and electrical supply required. Built to 16th edition electrical regulations. Supplied assembled and ready for use. Unique design shower tray allows large dry area. Reduces the risk of personal injury. Present a more professional image to your customers. 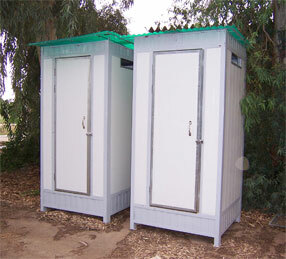 Provides a damage-free solution for locating toilets at customer premises. Cuts down time and effort. Use in the yard and at the site. Installed in any location with a flat surface. Hands-free operation by use of infrared switch. On demand 20-second flow of hot water. Full protection by RCD and MCB. Integral full forearm sink bowl. Mains or reservoir water, but the turn of a key switch. Easily installed in any location with a flat surface.